ANTIBACTERIAL MED SYSTEM Actively moisturizing mattifying cream is a dermatological care program intended for acne and steatorrhea skin. Azelaic acid has an antibacterial effect, it noticeably calms acne and prevents the creation of new blackheads and skin eruptions. Glycerin contained in the cream moisturizes the skin and protects it from dryness. Liquorice extract normalizes the sebaceous glands function and reduces the production of sebum. 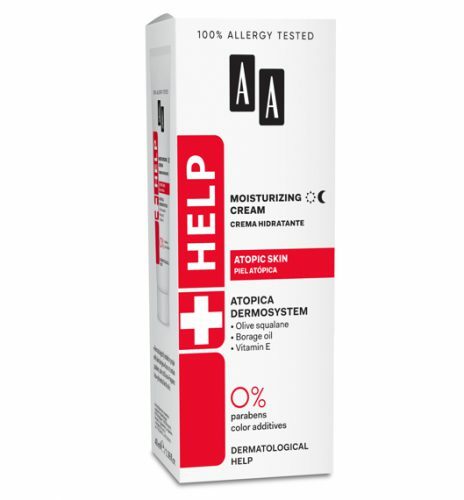 D-panthenol and allantoin soothe skin irritation and redness. The cream is a perfect make-up base, it is easily absorbed and does not leave an oily layer on the skin. Everyday use of the cream improves the condition of the skin, noticeably calms acne and reduces seborrhea. Every morning apply on cleansed face (avoid the eye area), neck and décolleté. Aqua, Dicaprylyl Carbonate, Hydrogenated Polydecene, Propylene Glycol, Pentylene Glycol, Di 12 – 13 Alkyl Malate, Glyceryl Stearate, Cetearyl Alcohol, Glyceryl Stearate Citrate, Tridecyl Salicylate, Glycerin, Ammonium Acryloyldimethyltaurate/VP Copolymer, Caprylyl Methicone, Nylon – 12, Tocopheryl Acetate, Panthenol, Butylene Glycol, Allantoin, Azelaic Acid, Glycyrrhiza Glabra Extract, Disodium Phosphate, Lecithin, Xanthan Gum, Atelocollagen, Sodium Chondroitin Sulfate, Phenoxyethanol, Hexylene Glycol, Ethylhexylglycerin, Tocopherol, Caprylyl Glycol. Dermatologically tested on people with skin allergies. Does not contain parabens, color additives. Fragrance free. Skin neutral pH.